A stylish night table with a hand-crafted design. The Vogue Night Table from the ‘Night’ collection by Rugiano has an Italian elegance that will bring glamour to any bedroom scheme. 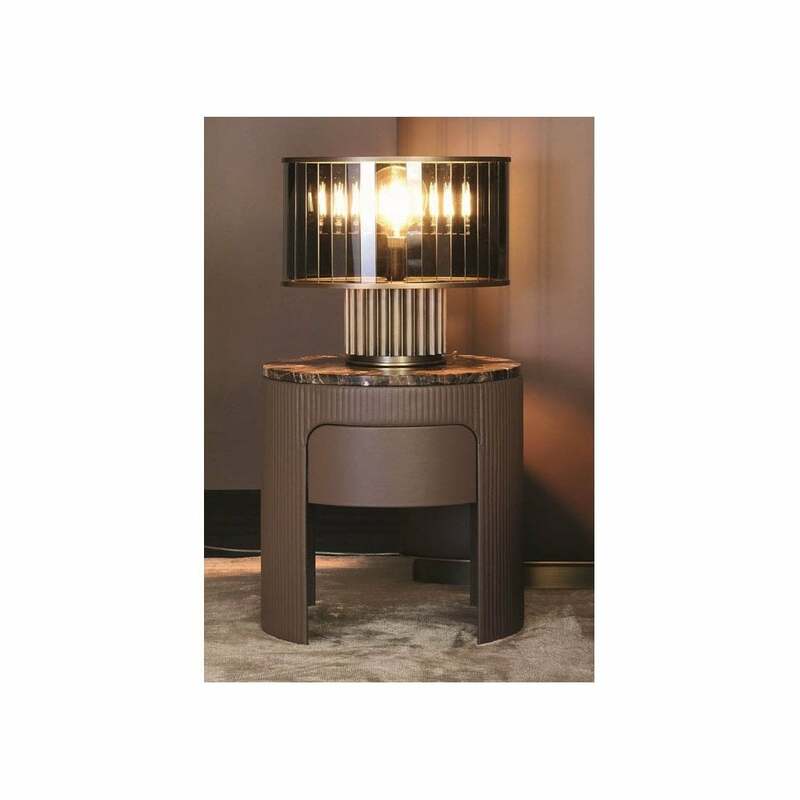 Featuring a curved frame and dark emperador marble top, the Vogue Night Table is inspired by the decadence of the Art Deco era. Upholstered in the finest Pelle leather, the table will suit a variety of interior styles whether modern or contemporary. The singular drawer can be used to store night-time beauty essentials and your favourite book. Pair with the Vogue Bed from the Rugiano collection for a dramatic yet sophisticated look.